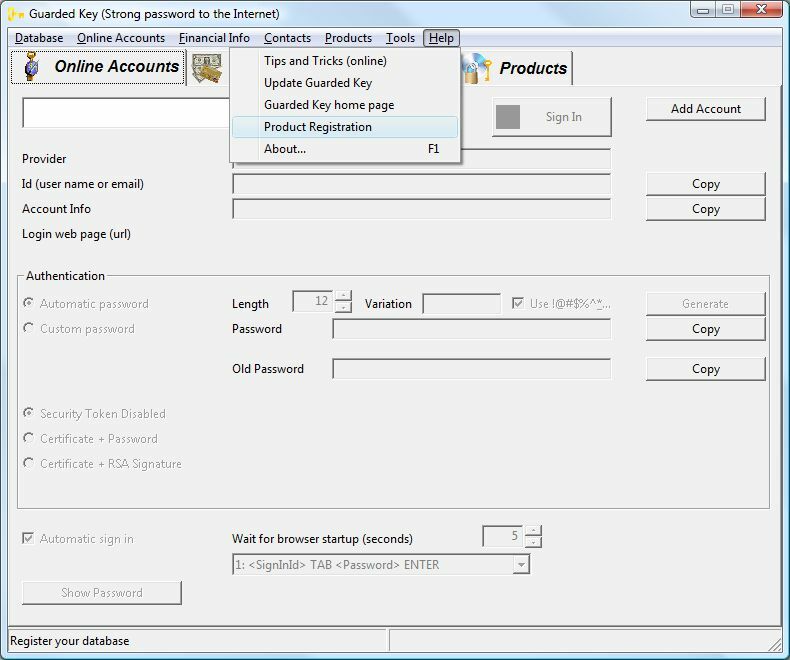 Launch Guarded Key application and open menu Help > Product Registration. The application will show dialog with "License Code" field. 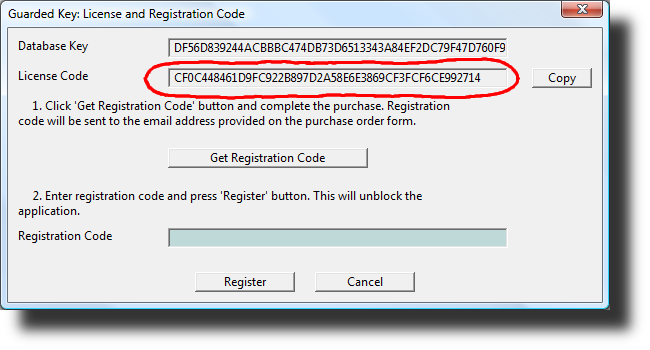 Click "Get Registration Code" button, the application starts web browser, navigates to purchase order from and automatically fills in license code. If this doesn't work click "Copy" button to copy license code into the clipboard and paste into the field "License Code" on the purchase order form.